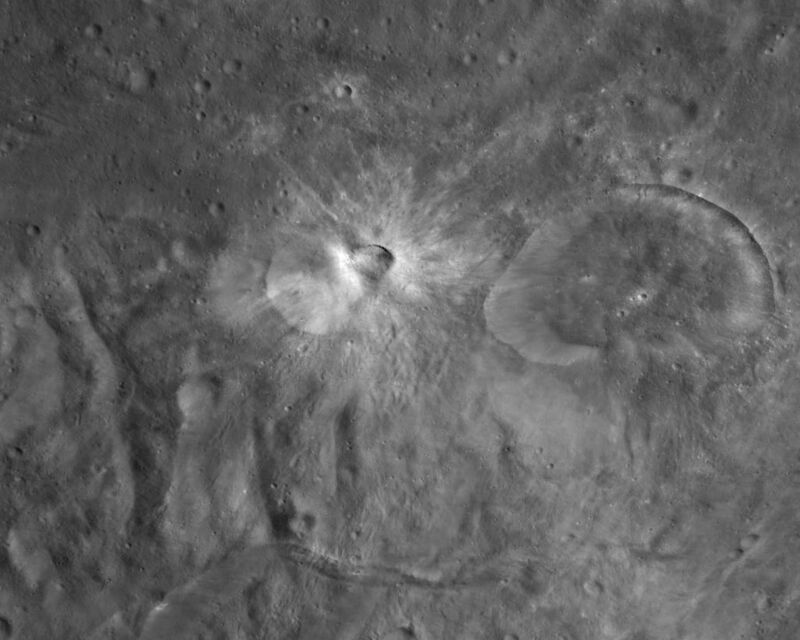 This Dawn framing camera (FC) image of Vesta shows Eusebia crater on the right, which was the subject of the previous image of the day. 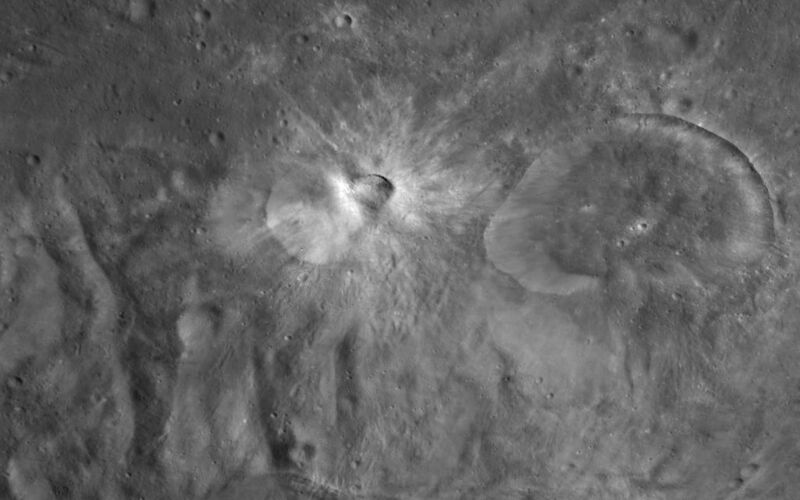 The smaller crater, offset from the center of the image, with a smaller crater on its rim is Tuccia crater. 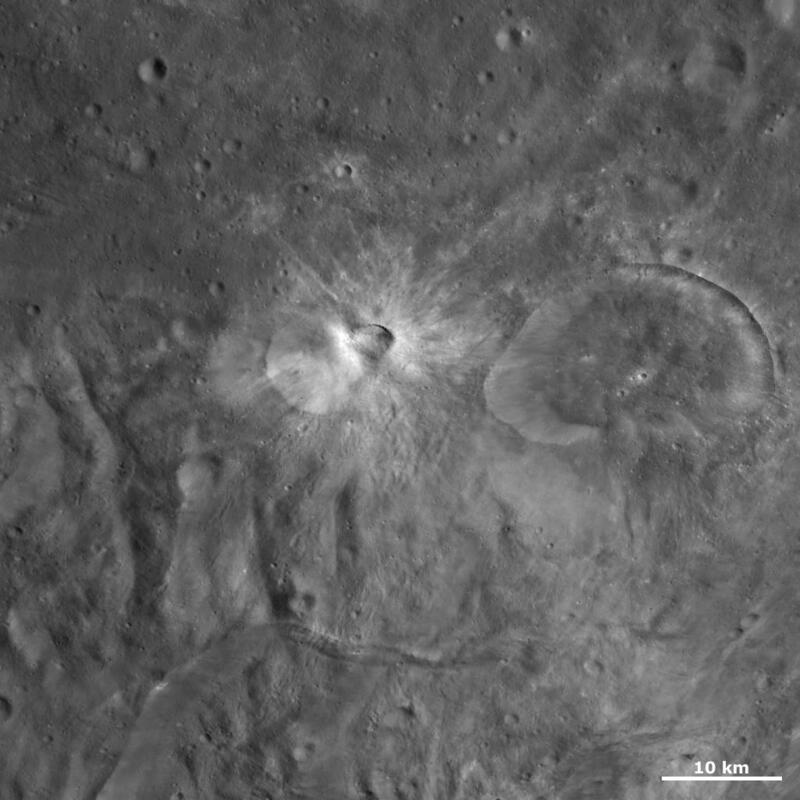 Tuccia crater is approximately 12 kilometers (7.5 miles) in diameter and the crater on its rim is roughly 3.5 kilometers (2.1 miles) in diameter. Tuccia crater is surrounded by a distinctive halo of diffuse and rayed bright material and this bright material is also inside of the crater. The smaller crater on Tuccia's rim has dark and bright material inside of it. This image is located in Vesta's Tuccia quadrangle, in Vesta's southern hemisphere. 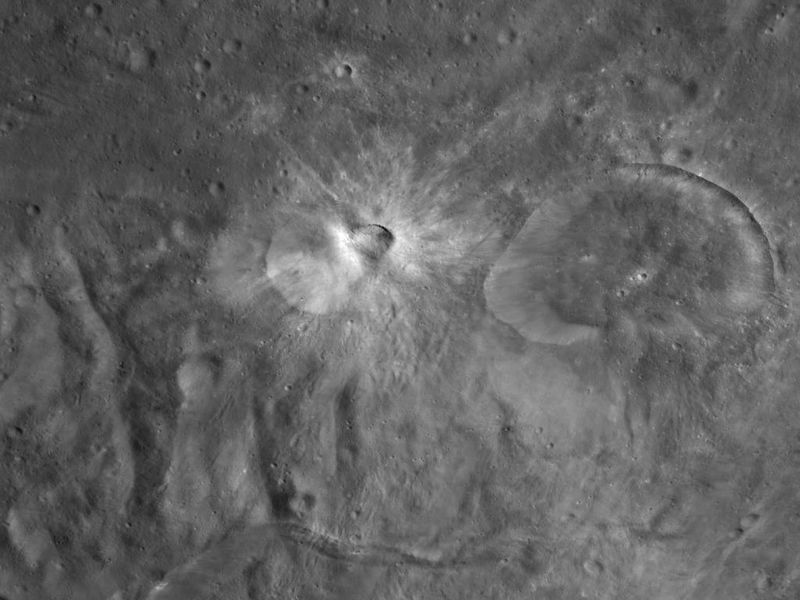 NASA's Dawn spacecraft obtained this image with its framing camera on Oct. 17, 2011. This image was taken through the camera's clear filter. The distance to the surface of Vesta is 700 kilometers (435 miles) and the image has a resolution of about 65 meters (213 feet) per pixel. This image was acquired during the HAMO (high-altitude mapping orbit) phase of the mission.